This just in from Master of Malt – The Blogger’s Blends are up for sale and you get to vote! Below is an email I received from Master of Malt regarding their new Blogger’s Blend whisky. Being that The Jewish Single Malt Whisky Society is a part of this great adventure, I thought I’d pass it on to you. You get to choose the best blend out of 10 – Unlike the US Presidential elections of 2000 – Your vote counts! The Bloggers’ Blend – Your Vote Counts! For a long while now, we at MoM towers have been thinking that one of the biggest and most valuable resources in the industry is the blogosphere… There are a huge number of incredible whisky blogs out there, run by experts with a huge depth of knowledge about the subject of whisky. With this in mind, about a month ago we asked 10 of the most prominent whisky bloggers out there to assist us in the creation of our next whisky. We sent them all highly technical blending kits involving loads of cool scientific bits and bobs, and some superb whiskies, and asked each blogger to create their own blend using the ingredients provided, then send us their recipe. We then followed their recipes, made up their blends and put together the sample sets you now see below. Now, we can only pick one of the recipes to use as our next whisky, and here’s where you come in… We want you to pick which of the 10 blends we bottle. All you have to do to take part in this, the world’s first blend created solely by whisky bloggers, is buy a tasting set with all 10 of the bloggers’ recipes for £29.95, and decide which is your favourite. The kit contains a unique code to enter into the website to enable you to cast your vote, as well as details on how to vote once you’ve tasted the samples. Bloggers’ Blend Tasting Set for £29.95. You can read more about the Bloggers’ Blend on the Master of Malt blog. Caskstrength is one of the best respected blogs on the web. Penned by former rival A&R men Neil and Joel, erudite discussion and commentary abound here, with more than a hint of ‘chappishness’. Penned by Sam Simmons (AKA Dr. Whisky), global brand ambassador for The Balvenie. Dr. Whisky’s blog is pleasingly irreverent, combining industry opinion with some of the best tasting notes we’ve ever read. Founded in 2009 by Chris and Lucas, (then) students at Edinburgh university, and all-round whisky enthusiasts. Both of them now work in the whisky industry, thanks in no small part to the incisive and instinctive writing style on the blog. The longest-running whisky podcast on the Internet, with weekly episodes featuring whisky news and interviews with distillers, blenders, authors, and other whisky experts. A true heavyweight of whisky journalism. Billed as ‘the Whisky Social Network’, Connosr also has a blog offering industry insight, and some superb competitions for users. The blend was provided by a panel of Connosr’s most prolific users. 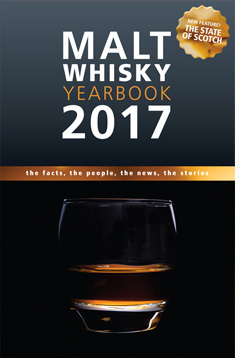 Published 8 times a year, Whisky Magazine is the perfect complement to the dram in your glass. Every issue brings you fascinating articles on the art, science and romance of the ‘water of life’. One of the most active whisky forums on the web, WhiskyWhiskyWhisky boasts over 1,000 members, discussing an incredibly broad range of topics across the wonderful world of Whisky. Husband and Wife team Matt and Karen co-write this superb blog which offers in-depth opinion, tasting notes and distillery information. The site is also host to excellent buying guides and FAQ’s about whisky.